I got a little absurd with my reply to this one. Poor Hannah. At least I’m not a robot spitting out form letters. 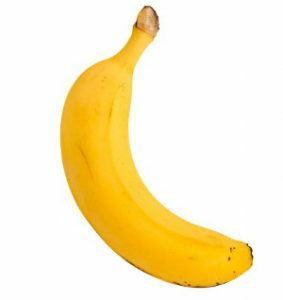 I am going to try my best not to call you “Hannah Banana.” You’ve probably heard that a lot from other people, and I guess you might be sick of it by now. You know, the whole “Hannah Banana” thing. So I’m saying to you, I respect that. I will not call you “Hannah Banana.” Or hardly ever. 1) I had a dream that I wanted to write books. I felt I had something inside of me that had to get out: ink spilled on white paper. 2) I started thinking about a character, a boy, with a huge imagination. In one scene, he pretended to be a detective. The rest is history. 41 books in all! 3) No, I’ve never been to Madison. But I’d love to someday. 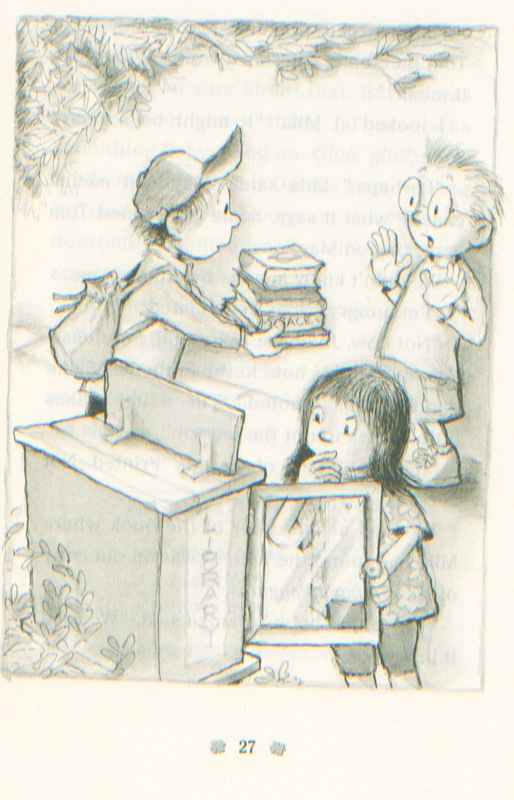 Here’s an illustration by R.W. Alley from the upcoming book, THE CASE FROM OUTER SPACE. The mystery revolves around a note found tucked into a book at a “Little Free Library.” I know: genius! 4) I don’t have a favorite book, but I find that I’m usually most excited about my newest book. In this case: The Courage Test (grades 4-7). I have a new Jigsaw Jones coming out, The Case from Outer Space, and I love how it turned it. Very funny. Look for it this summer. 5) I have a dog, Daisy, she’s a golden doodle; and two cats, Midnight and Frozone. They are both black. One is fat, the other not so much. 6) I loved college. The freedom! The books! The fun! 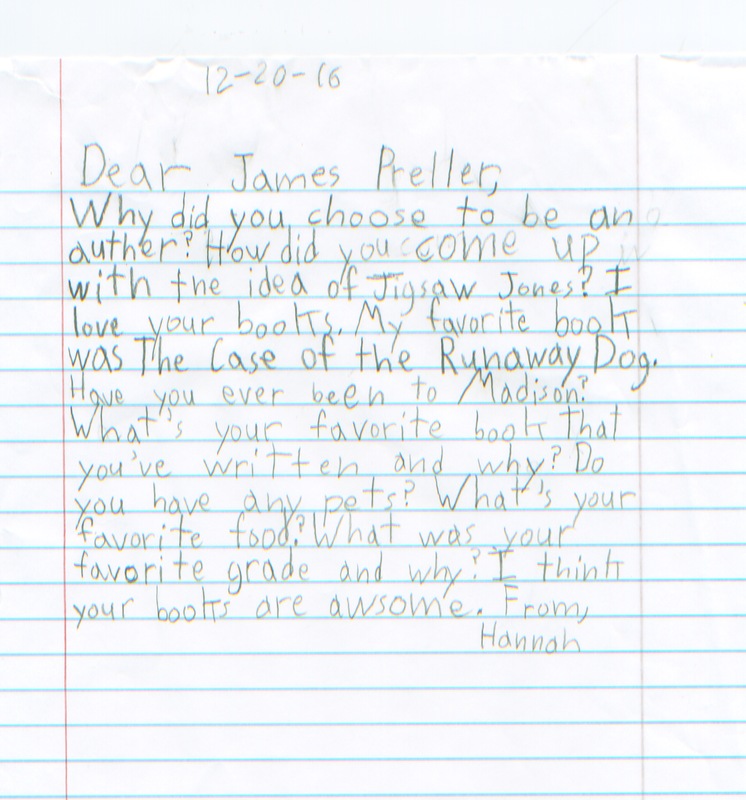 Thanks for your letter, Hannah Banana! Oops!